​"On the Interpretation of Genesis"
We were initially reluctant to analyze Dr. Strauss' comments on the creation account found in Genesis, as it seems that a commentary on a commentary on a translation would be so far removed from the original text as to be of questionable worth. We were pleasantly surprised by the results of our efforts and anticipate that the curious reader will peruse the full text. If, at times, our commentary seems excessive, we suggest the reasons are partly due to Strauss' dense writing style, being a non native English speaker, and are partly due to our desire to provide a thorough explanation, where possible. The Blue Letter Bible has been consulted for clarification of certain Hebrew words. ​The frequency of a statement does not indicate that degree of truth of that statement. “Truthiness” is a concept best left to the domain of political commentators such as Stephen Colbert, not political theorists. Strauss proposes that the Bible could be understood with only a limited influence from authorities, that is, he believes that he can understand Genesis without any specialized knowledge. The use of the word “something” indicates that Strauss has placed limitations on his attempt; he will not try to understand all of the Bible. We note that while the reader can argue, disagree or criticize an author, the author cannot be reasoned with or be convinced that he is mistaken. The definition of “submission” (“inclined or ready to yield to the authority of another”) implies dependency. If an all-powerful God does not exist, then miracles cannot happen. ​Strauss writes that our experience as human beings can not conclude the existence of an all powerful creator from the natural world. The universe's “manifest” order and rhythm suggest a creator, however, we cannot conclude the existence of an all-powerful God, a really powerful God or a somewhat powerful God. It can also be stated that the the moral character of the creator can not be known from the physical world, that is, we can not know if the universe was created by a good God or a demonic Devil. ​We confess that we do not understand the correlation between a “claim to respect and praise; excellence; worth” or “something that deserves or justifies a reward or commendation” and improbability. We suggest that “all criticism of this kind” originates from those individuals who have opinions on the nature of God as presented in the Bible. The premise that God is all powerful suggests that we can know him. The acceptance of the additional premise that God is all knowing results in contradictory statements regarding the nature of God. We propose that the idea of an all powerful and all knowing God was suggested by certain well meaning individuals lacking in sophistication and who could not fully understand the inherent contradictions that result from such a God. Strauss omits the third quality usually assigned to God -omnibenevolence- being all good. Strauss states that only a “final philosophic system” can refute belief in an omnipotent God. ​Strauss states that the “truth of the Bible” is improbable. The improbability of the truth of the Bible is one characteristic of the Bible. Strauss and Fred question the probability of Hegel's philosophic system. “If it is true then that human reason cannot prove the non-existence of God as an omnipotent being, it is... equally true that human reason cannot establish the existence of God as an omnipotent being. Scholars who possess some knowledge can only read the Bible in a state of doubt. The conclusion is that others who have opinions, whether valid or otherwise, can read the Bible without doubt. Of course, these readers do not and cannot claim to be men of science or men of knowledge. ​Strauss distinguishes between the “knowledge of mere facts” and “true knowledge”. Facts can change whereas true knowledge is unchangeable. ​Strauss' final philosophical system cannot include scientific laws, since there exists the possibility that they can be revised. Therefore, we suggest that his proposed system must be simple and easily understood, takes into account possibilities and is all encompassing. Through history, man's condition remains unchanged, that is, the externals may change,but man remains man. This condition of man will remain into the future. Strauss states that the “given whole” is permanent. There are many attempts to explain our existence as human beings and the Bible offers one of these possible explanations. ​Since the text does not reveal the author, Strauss repeats that the reader can not know the author. Genesis is not “readily intelligible” and the implication is that it can become, with study, intelligible. “Perhaps we may begin with that part of the first chapter of Genesis which we can understand. The Hebrew word for creation used there is applied in the Bible only to God. Yet this term, bara [בָּרָא-Strong's number H1254], is used synonymously, at least apparently, with the Hebrew word for doing or making, asalt . ​In one case, and twice in this special case, doing or making is used of something other than God: the fruit tree making the fruit, to translate literally. The word bara is applied only to God. What this means is not explained in the Bible." ​"But there is a synonymous term (asah) [עָשָׂה-Strong's number H6213] for creating-making-which is applied also to other beings, to trees for example, to say nothing of human beings. Let us therefore see what this word making means in the cases in which it occurs within the first chapter of Genesis. The fruit tree making fruit, what kind of making is this? "The fruit is originated almost entirely by the tree and, as it were, within the tree. Secondly, the fruit does not have the looks of a tree. Thirdly, the fruit is a complete and finished product. And last, the fruit can be separated from the tree." and finally, the making of something which cannot be separated from the maker: for example, deeds, human deeds, cannot be separated from the man who does them (deeds and makings would be the same word in Hebrew)." ​If creation is the separation of primeval matter into organized matter, then we can understand that the accounts of forming seas, land and heaven as intelligible, that is, the various atoms have been rearranged to form water, various rocks and innumerable stars. However, the cause of this arrangement cannot be arbitrarily assigned to either a good God or an evil Demon. “The most glaring difficulty” in the account of creation is “created by the fact that the Bible speaks of days prior to the creation of the sun. “The vegetative world is explicitly said to have been brought forth by the earth. ​Interestingly, the vegetative world occurs naturally, without divine intervention, although God made the animals. Cain’s animal sacrifice was not acceptable to the Lord, while Abel’s offering of plants was accepted. We suggest that the reason for the rejection of Cain’s sacrifice was due to the animals being created by God, whereas plants are a natural result from the earth. We note that before the flood only plants could be eaten [Genesis 1:29], but after the flood animals could also be used for food [Genesis 9:3]. Light must be created first, since it is only possible to perceive differences in the light. The heavenly bodies are not addressed, therefore, the conclusion is that they are lifeless. We can understand the reasoning as to why the heavenly bodies are mentioned before animal life. “Animals are not limited to changing their places. From this it follows that the being created last [man] is characterized by the fact that ... man is the only being created in the image of God. The main distinguishing characteristics in the creation account are dualism, difference and local motion. Strauss uses another esoteric writing technique-the mistake or blunder. The quote is from the twenty seventh verse. It is a difficult sentence since it could be misunderstood that they were created as androgynous. ​Many cosmogonies describe creation as the result of the interaction between a God and a Goddess. ​The dualism mentioned in Genesis is not found in gender or in the created world, but within God. ​According to the account in Genesis, the terms “male” and “female” are only applicable to human beings. These terms are not “universal characters”, that is, they can not be applied to heavenly bodies, plants or animals. While we may initially uncertain if the animals were created with one, not two, genders; we recall that they were commanded to multiply. ​The “moving god” is reminiscent of the prime mover of certain philosophies. ​The Biblical account of creation can not be assumed or correctly understood as an act of generation or as the result of generation. Once again, Strauss seems to linger over unimportant details and their various implications. The rational dualism of the creation account is the reason why plants are mentioned prior to the sun. ​Strauss notes that the created beings found in the Bible are real creatures, not imaginary beings. We would prefer the wording "All created beings mentioned in Genesis...", as the creatures called Leviathan and Behemoth are unknown to us. ​The order of creation: “The first thing created is light, something which does not have a place. All later creatures have a place. The things which have a place either do not consist of heterogeneous parts [heaven, earth, seas]; or they do consist of heterogeneous parts, namely, of species or individuals. ... the things which have a place either do not have a definite place but rather fill a whole region, or something to be filled [heaven, earth, seas]; or else they do consist of heterogeneous parts, of species and individuals or they do not fill a whole region but a place within a region [ within the sea, within heaven, on earth]. “Those [entities] which possess local motion either lack life, the heavenly bodies; or they possess life. The living beings are either ... water animals and birds; or they are terrestrial. ​Strauss demonstrates that the ordering of the creation account can be understood by “either/or” statements. This is a possible method to categorize the twenty six unilateral glyph of Egyptian hieroglyphs. [Living/non living; human/non human; inside the home/outside the home; alive/ dead; etc.]. Strauss criticizes those readers who reach a hasty judgment and label the creation account as mythological. We suggest that this incorrect judgment is the result of careless reading or thoughtless reading. We must conclude that these readers believe that the writers of the Bible wrote senseless allegories without any consideration of whether the reader could understand the text or not, that is, these readers deny the premise of writing – the communication of ideas. Strauss suggests that the understanding of Genesis is understandable to all men, regardless of their piety, since it is based on “evident distinctions” found in the natural world. The thinking reader will realize that the ordering of the days is result of human reasoning and human effort, that is, no divine revelation from an omnipotent God is needed to relate the account, to organize the account or to understand it. An account of the primeval world (“without form and void”) without a description of the world as it we know it (“the completed world”) would be strange, if not worthless. “The biblical account of creation is based on a cosmology. ​The account of Genesis is neither extraordinary nor inaccessible to man. The reader may also realize that this entirely human account means that divine revelation is not necessary. “Someone might say, that ... we all know what sun, moon, and stars, fruits and plants are, but what about the light as distinguished from the sun? Who knows it? Strauss presents a somewhat obscure objection that not all light has its origin from the sun and suggests that the enterprising researcher should locate all references to lighting in the Bible in order to understand what the Bible teaches regarding lightning. בָּרָק-baraq. Strong's number H1300. אֶרֶץ ʼerets, eh'-rets; from an unused root probably meaning to be firm; the earth (at large, or partitively a land). Strong's number H776. שָׁמַיִם shâmayim, shaw-mah'-yim; dual of an unused singular שָׁמֶה shâmeh; from an unused root meaning to be lofty; the sky. Strong's number H8064. רָקִיעַ râqîyaʻ, raw-kee'-ah; from H7554; properly, an expanse, i.e. the firmament or (apparently) visible arch of the sky. Strong's number H7549. “The Hebrew word which is mostly translated by "world"' means ... in the first place, the remote past, "'once" in the sense of "then", the early time or since early time. We were unable to find any indication to substantiate the claim that “world” is a reference to time and not to place.תֵּבֵל têbêl, tay-bale'; from H2986; the earth (as moist and therefore inhabited); by extension, the globe; Strong's number H8398. Tebel is translated as “world” thirty five times in the KJV and once as “inhabitable land”. Our investigation included words referring to time (H5956, H5331 and H5703) without any confirmation that these words pertain in anyway to “heaven and earth”. The implication of Strauss' explanation is that matter (“the world”) is “permanent”, “for all times, never ceasing”. The creation of matter ex nihilo is expressly denied and the reorganization of prexisting matter is suggested. ​Typical of Strauss' writing style, he focuses on one seemingly unimportant aspect, in this example, the cosmology of the author, and writes extensively with many seemingly inconsequential details. “All other things are not named by God; only these general things... which lack particularization, which do not have a place, properly speaking, are named by God. The rest is left to be named by man." ​Generalities are named by God and the remainder are to be named later by man. ​Interestingly, heaven and man are not described as "good" by God. ​Strauss suggests that it was not necessary to describe man as good, since he was created in God's image and blessed by God. The cynical or critical reader may find this reasoning or explanation unconvincing. ​Man is “redeemed”, but heaven is not redeemed, but depreciated. We are unsure if the redemption of heaven is possible. “Creation appears to be preceded by a kind of rudimentary earth”, however there “is no kind of rudimentary heaven, and the heavenly bodies, sun, moon, and stars are... nothing but tools... for giving light to the earth; and... these heavenly bodies are lifeless; they are not gods. ​Since the Jews do not have an exalted notion of an existence after death, we agree that the Genesis account favors the earth, the life of man. From this account, living beings are only found on the earth; none are found in the vault of heaven. ​The Greeks understand heaven as the cosmos, all of creation, while the Hebrews can only appreciate, favor or contemplate an earthly existence. ​The more sophisticated Greeks sought a heaven above the stars, beyond the created material universe. In this regard, their thought is similar to Christianity where heaven is understood as a spiritual existence. The sophisticated Greeks are the minority, not the opinionated majority. ​We are uncertain which steps are needed from to venture from the love of wisdom to the study of the universe. ​Creation is described only to give the glory to God and for no other reason. ​Arguments are an aspect of philosophy. ​Strauss returns to the concept of miracles or divine revelations. The creation of the world is asserted, without any support for this assertion. ​We speculate that if Strauss were bolder, he would write “inferior character” instead of “different character”. ​Men can describe the structure of the world, but the “createdness” of the world is not obvious and is only “known” through the divine revelation of an omnipotent God. ​“All men as men cannot help but be led to this cosmic religion, if they do not go beyond the created things. " ​Strauss suggests that those who remain guided by the material world, will adhere to a “cosmic religion”. This "cosmic religion" is not explained and we cannot know if the followers of this religion worship the heavenly bodies or the universe or have a sophisticated worldview. Certain aspects of astrology may be considered to be religious, since these aspects might be applied by enterprising astrologers to explain man and his place in the universe. ​Israel's knowledge that the heavenly bodies are not to be worshiped is of an “entirely different character” and this knowledge is derived from divine revelation. ​The problem regarding tradition or second hand information as inferior to true knowledge or even the knowledge of facts is brought to the careful reader's attention. The primary difficulty with second hand information is that it cannot be verified; one cannot be certain if it true or false. ​Strauss attaches a moral consideration [“What is wrong..”] to man's attempts to understand to his fullest ability. ​Ambiguous derives from the Latin word meaning “to be uncertain”. It is uncertain that man is either good or not good. It is possible that man could be described as neither good nor evil, but neutral. ​The first account of creation does not give an account of man's place in the context of the world, therefore, the second account was created as an explanation. ​The limitations imposed on man have been exceeded by man's effort: “Behold, the man is become as one of us...”. ​An implication of this statement is that the first creation story of man did not demonstrate human existence as “we know it”, as a version removed from reality. Today, man's condition is characterized by the need for rain and hard work. By working backwards from the present, the reader can reason that there was a time when neither rain was not needed [Genesis 2:10- “And a river went out of Eden to water the garden.”] nor hard work [Genesis 2:16- “Of every tree of the garden thou mayest freely eat...”]. ​We find it interesting that Strauss can not know who wrote the creation account [“We are not told; hence we do not know.”], yet “somehow” we know man is responsible for his lacking in charity and justice. By working backwards from our present condition, Strauss suggests that the author of Genesis proposes a time when man was not “uncharitable or unjust”. ​This the condition described in the Garden of Eden. ​Strauss suggests that man was “tempted” to exceed his limitations, “tempted” to be “literally like” God. These questions will be answered by the thoughtful reader. In the initial account, man is created in the image of God, now he is formed from dust. We are told that dirt or earthly matter is organized to form man. Like the earth, man was not created from nothing, but from preexisting matter. Therefore, the earth, Adam and the rib were formed from preexistence matter. We cannot but be reminded that in the Star Trek universe, replicators rearrange existing matter to form needed items, among these created items are food. This replication in Star Trek can be explained by the fact that modern science knows that matter cannot be destroyed, it can only change its form. Woman is a lesser being than man as she is not created in the image of God. Strauss assigns the beginning of the transgression to the woman, and perhaps this is the correct interpretation, since the serpent was not prohibited from eating, nor does the text indicate that the serpent ate from the tree. ​We remind the reader that the woman's knowledge of the prohibition is from Adam, not from God. At most, this knowledge may be described as a tradition from Adam. It cannot be described as a tradition from God, since under this understanding, anyone could claim to have a revelation from God. We may say that the woman's disregard for second hand information is similar to philosophy's reluctance to value opinions. ​Strauss reiterates that rain is not needed in the Garden of Delights and the woman formed in the second account is inferior to man. We immediately recall the first woman created for Adam, Lilith, who “left Adam after she refused to become subservient to him” [Wikipedia]. Strauss notes that if man desired knowledge of good and evil, it would be necessary that he would have some knowledge of good and evil in order to have this desire. Strauss suggests that the transgression happens “accidentally.” This explanation may be valid if man did not desire the knowledge of good and evil. We are confronted with another technique of esoteric writing-the contradiction. Did man "chose to disobey" the commandment or did the transgression happen "rather accidentally"? From the text, we can deduce that disobedience, in any form and at anytime, leads to an autonomous knowledge of good and evil, however, later theological consensus concluded that knowledge of good and evil can only be from divine revelation, that is, from the Genesis story. In light of this later theological opinion, it follows that pagans, whether children or adults, could not be described as disobedient, since they would be ignorant of the revelation from Genesis. ​Strauss repeats that the theme of the first chapter is the the demotion of heaven's natural importance, while he clearly writes that heaven is a primary theme of philosophy. "The second chapter contains this explicit depreciation of the knowledge of good and evil, which is only another aspect of the thought expressed in the first chapter. For what does forbidden knowledge of good and evil mean?" ​We are uncertain how pondering heaven leads to the knowledge of good and evil. ​And the third chapter questions cause and effect. Who is responsible for the Fall? Adam assigns the reason to the woman "The woman that thou gavest to be with me..”, while the woman assigns the reason to the serpent "The serpent beguiled me...". 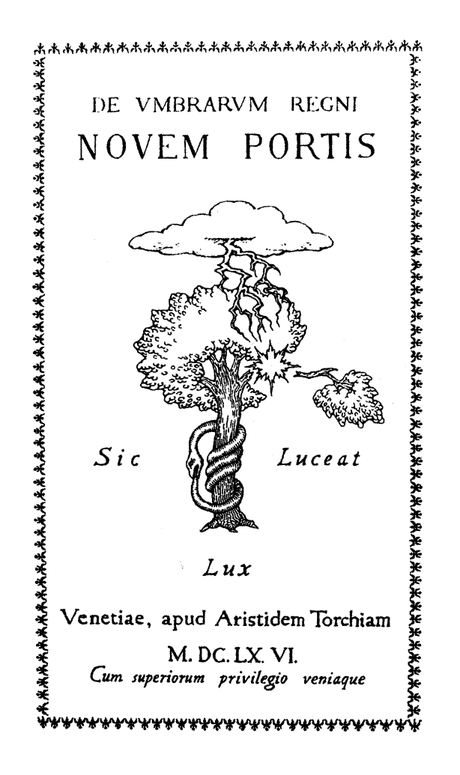 However, the reason that is supplied by the thoughtful reader is possibly impious: Adam ate because of the woman, the woman ate because of the serpent and the Lord God created both the serpent and the tree of the knowledge of good and evil - without the ultimate cause, the creation of the tree, there could be no effect, the eating the fruit. We are uncertain how the contemplation of heaven results in wise human behavior and we can only suggest the following speculative analysis: The stars are the farthest from earth and the planets are between the sun and the moon. This presents a cosmic hierarchy: Stars, planets, sun and the moon. ​This hierarchy, if applied to men, leads to the understanding that mankind is naturally divided into the smart, the strong and everyone else. The wisdom of “human conduct” may lie in treating people differently based on their individual considerations-just as a specific heavenly body is not equal to any other heavenly body (all stars and planets are different), so individual humans are not equal to other men. ​Strauss suggests that temptation is another term for philosophy. ​The decisive claim of the Bible is that it is a product of divine revelation, a miracle, possibly due to the intervention of an omnipotent God. The true love of wisdom eventually leads the seeker to the realization that opinions, those suppositions of the majority, are not to be held as true. Therefore, we agree that any synthesis of these two claims is “impossible”. ​We suggest that the contemplation of heaven leads to an understanding of the cosmic hierarchy and this hierarchy is applicable to man. The correct application of this understanding leads to “right conduct”. From this cosmic hierarchy, a hierarchy of man can be reasoned. Strauss defines “true knowledge”. If the philosopher seeks “knowledge of what is always”, then the philosopher cannot find this defining characteristic in any written work, as this work may be open to further revision. ​Hardouin would agree that knowledge of the past, especially as found in the alleged writings of the atheistic Church Fathers, is of an “inferior character” and “particularly uncertain”. It is open to further revision. ​If a life in freedom is considered synonymous with a life of “independent thinking”, then a life in obedience to revelation must be synonymous with a life of “dependent thinking”. This state of “relying on, or being controlled by someone or something else” cannot be beneficial to a sophisticated minority. Because of the claim of divine revelation for the Bible, Strauss correctly states that individuals cannot have knowledge of good or evil, independent of the Bible. The “difficult or impossible to understand, explain, or identify” God is the result of contradictory statements found in the Bible. The man in this example is not the author, but one who is already familiar with the sacred writings. This deduction necessitates that over an unknown passage of time, the writings have been declared to be sacred and possess a divine purpose. ​The redactor can only modify the scripture in a spirit of a “modest or low view of one's own importance” and “a feeling of profound respect for someone or something”, therefore, humility and reverence can only be applied to one who can be described as an opinionated “dependent thinker”. ​Only the obvious contradictions to the purpose of sacred writings will be edited and excluded to insure conformity with that purpose. At the beginning of the essay, Strauss stated that it may be “defensible” to understand the Bible, however, at the conclusion, Strauss suggests that any attempt to understand the writings are impious and, by his own admission, we must conclude that his effort is impious. Through philological research into the meaning of Hebrew words, Strauss has attempted to demonstrate that the act of creation as related in Genesis was not creation from nothing, as it is sometimes suggested nowadays by certain groups, but a rearrangement of existing matter. As always, the Gentle Reader will reach his own conclusions.